This iron lantern is made with embossed glass. The panels of glass alternate between blue, green, yellow and transparent. 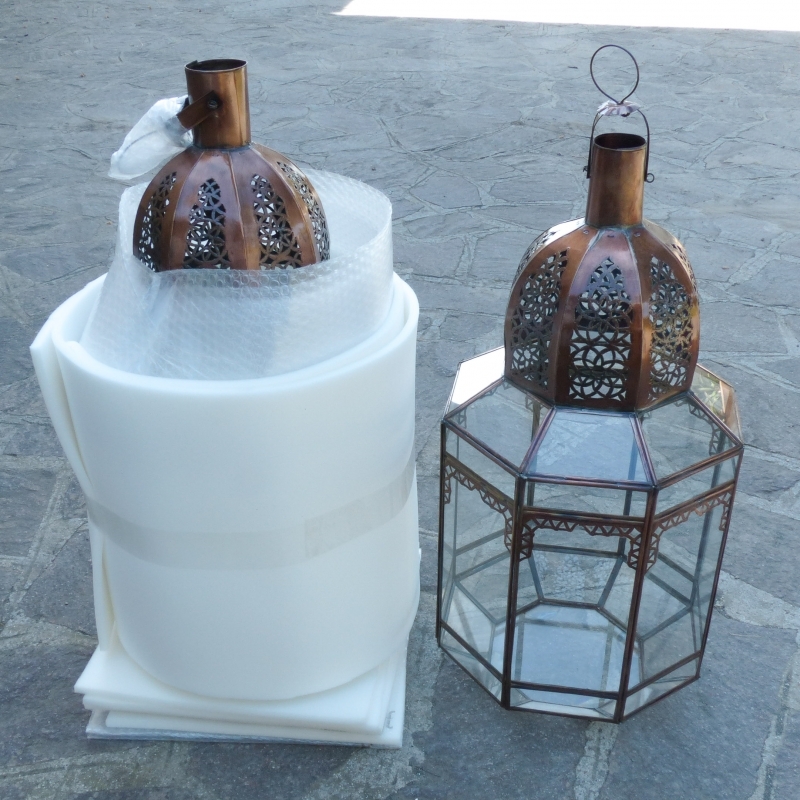 This lantern will not provide you with a lot of light but will provide a warm ambience to your table. 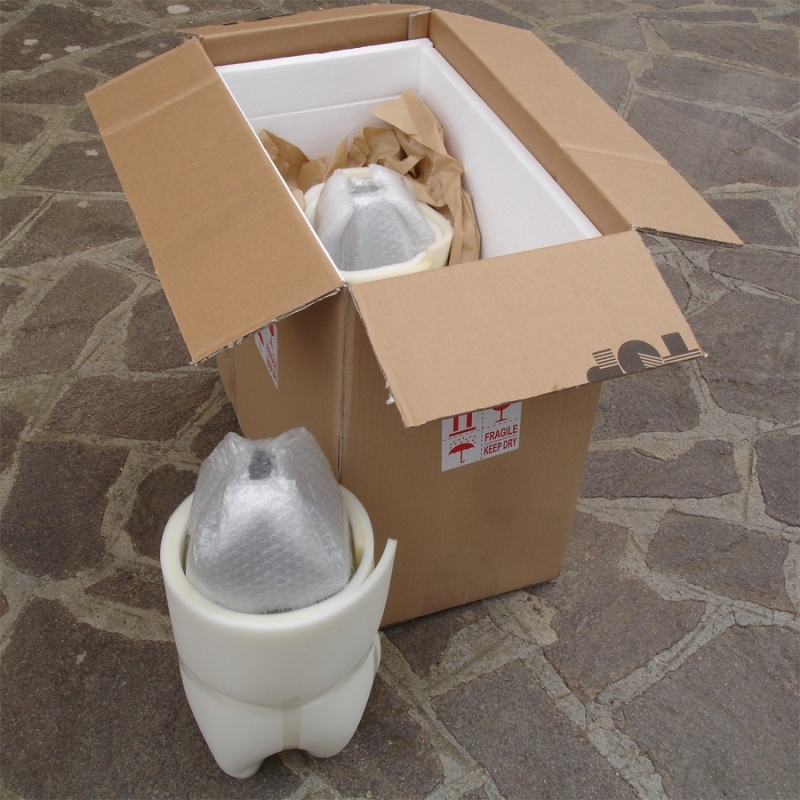 It will look amazing hang in multiples accross your balcony or in the garden. 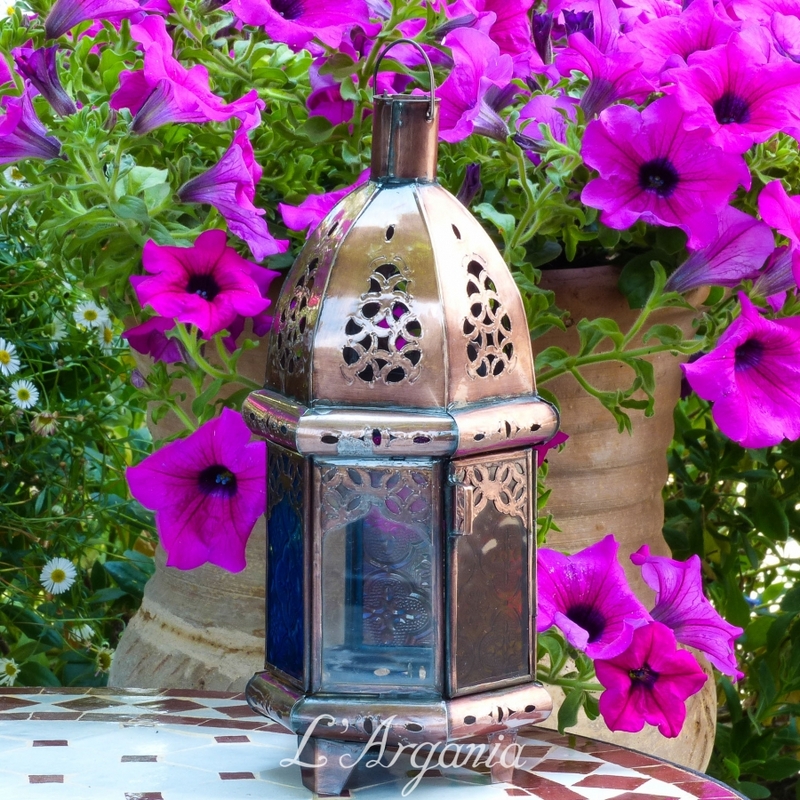 This lantern will make a great gift for yourself or a friend.